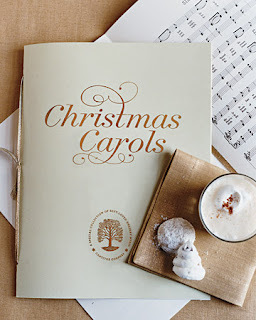 Martha-In-Training: Christmas Wednesday - Week 5: Carol Quiz! Appologies for how late this post is but I was mixing up some gingerbread dough. And doing school work, natch. Today I am straight-up stealing from the Martha website. This was too fun though. If you want, feel free to go here and do the quiz on the website. Otherwise I'll post the answers in the comment section. 1. "The Christmas Song" begins with which of the following lyrics? 2. Finish these lyrics: "In the meadow we can build a snowman..."
3. Finish these lyrics: "Come they told me, pa rum pum pum pum..."
4. Finish these lyrics: "Giddy-yap, giddy-yap, giddy-yap, it's grand just holding your hand..."
5. Finish these lyrics: "I'm dreaming of a white Christmas, with every Christmas card I write..."
6. How does the song "Silver Bells" begin? 7. Finish these lyrics: "Rocking around the Christmas tree..."
8. Finish these lyrics: "It's beginning to look a lot like Christmas everywhere you go..."
I booked the Bad Sweater Party! Year 4...can't believe this will be the fourth year. Wow. It keeps getting better each year so here's hoping that this year trumps the success that was last year's party! Merry Christmas Wednesday! 30 days to go before the actual holiday!